Substitute Tom Rogic’s sensational injury-time winner gave Celtic a 2-1 William Hill Scottish Cup final success over Aberdeen and clinched a historic treble for the Hoops. In an open and thrilling encounter at Hampden Park, winger Jonny Hayes volleyed the Dons into the lead in the ninth minute only for Parkhead midfielder Stuart Armstrong to level two minutes later. Celtic grew stronger as the second half went on and in the first minute of three added on by referee Bobby Madden, Rogic – on in the first half for Kieran Tierney – fired in a close-range drive to ensure that Brendan Rodgers’ side completed the whole domestic season unbeaten with the club’s first treble since 2001. It was the Dons’ sixth defeat of the season to Celtic but they more than played their part in a compelling match, only to find again that the Parkhead club this season are irresistible. Rodgers, who joined the club last summer, becomes the third Parkhead boss to do the clean sweep following Jock Stein, twice, and Martin O’Neill. It was a fitting achievement in the week that Celtic celebrated 50 years since becoming the first British club to win the European Cup. 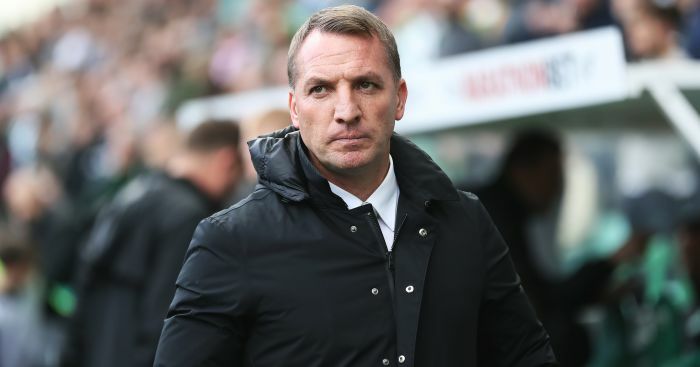 As excitement levels grew around Parkhead in the build-up to the final, Rodgers revealed that Moussa Dembele had recovered from the hamstring injury that had kept him out for a month. In the event, the 20-year-old French striker started on the bench with Leigh Griffiths leading the line. For his part, Aberdeen boss Derek McInnes had raised eyebrows earlier in the week by stripping outward-bound midfielder Ryan Jack of the captaincy, with Graeme Shinnie leading the team out. Jack, though, was given a starting berth for the showpiece finale which was preceded by a minute’s silence in tribute to those affected by the Manchester bombing attack. The heavy burst of rain before the game slickened the surface and helped in a frantic start to the match. The Pittodrie men drew first blood when Niall McGinn’s corner to the back post found Hayes, who had escaped Griffiths, and his low volley flew into the net with Celtic defender Tierney unable to keep it out. However, the Hoops fought back immediately and two minutes later Armstrong took a Callum McGregor pass outside the box and fired a low drive past Dons keeper Joe Lewis. Midway through the first half, Tierney required lengthy treatment for a facial injury after a challenge by Aberdeen striker Jayden Stockley near the touchline – it looked as if an arm was used – and had to be replaced by Rogic with McGregor dropping to left-back. The change disrupted Celtic and as Aberdeen rallied, Hoops keeper Craig Gordon saved efforts from McGinn, Jack and Stockley. But Celtic should have taken the lead deep into five minutes added for Tierney’s injury when Griffiths fired in a cross from the left but Scott Sinclair knocked over from just a few yards out. The second half also started at pace as Griffiths’ deflected shot on the break missed the far post by inches before Lewis blocked a Sinclair shot on the turn from close range. At the other end, Hayes robbed McGregor on the touchline to drive through on goal but his pass to McLean was behind the midfielder and a great chance was lost. Lewis parried an angled drive from Armstrong just after the hour mark and then Aberdeen escaped when a Patrick Roberts drive from 20 yards came off the outside of the post. Back came the rain, cascading again but failing to dampen the growing excitement and tension. Gordon produced a wonderful save at full stretch, pushing Shinnie’s 25-yard drive past the post, the Hoops defending the corner. As play raced to and fro, Lewis made crucial saves from Griffiths and then Sinclair. 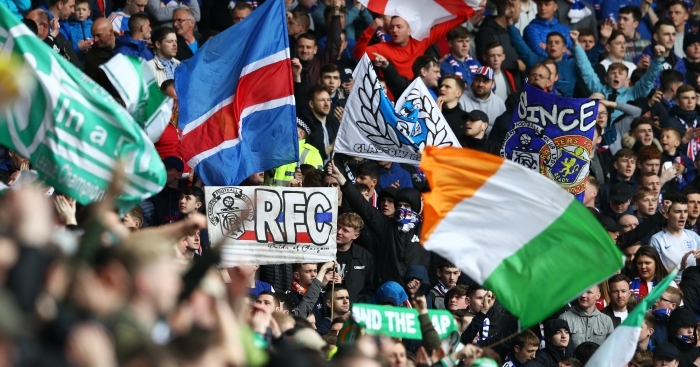 Aberdeen were visibly tiring and the champions began to swarm around their box and in added time Rogic sealed the win, and the treble, with an angled drive after dancing into the Dons box and the green and white half of the stadium exploded in joy. 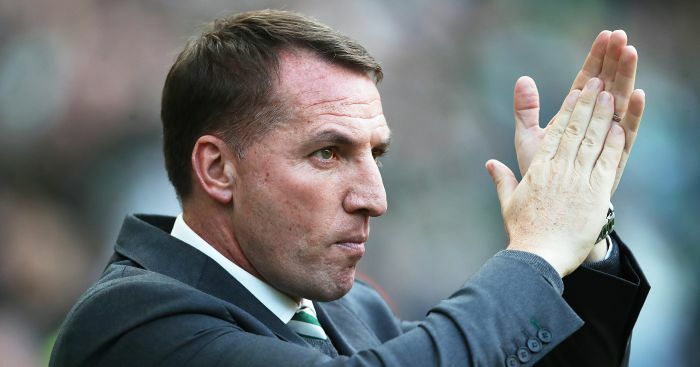 Ex-Celtic striker Chris Sutton criticised the timing of Brendan Rodgers' departure to Leicester City. 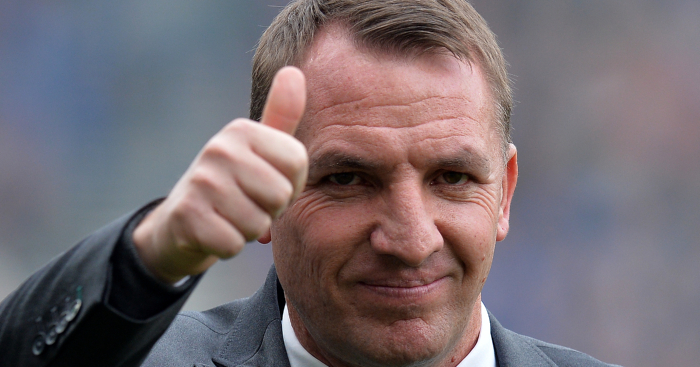 Celtic boss Brendan Rodgers is to hold talks about becoming the new Leicester manager . 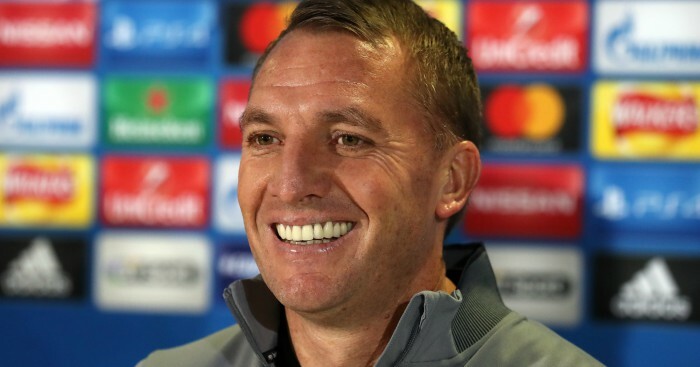 Leicester City will make former Liverpool boss Brendan Rodgers their new manager in the 'next 24 hours'. 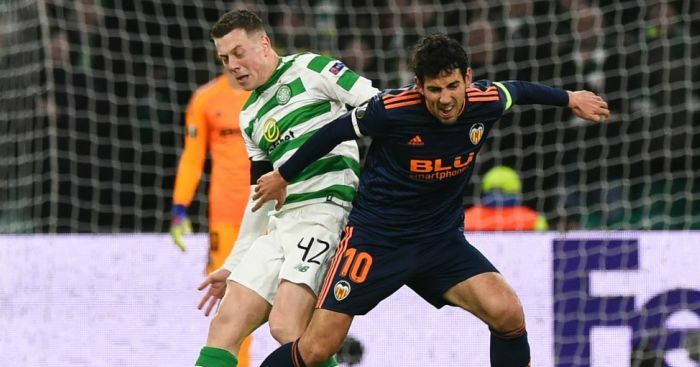 Valencia have put themselves in pole position to progress thanks to a 2-0 away win over Celtic. "It was simply a case of my body being so tense, so tight, from all that had happened in finishing my time at Liverpool."